Teddy first learned about The Hole in the Wall Gang Camp while staying at a Boston-area hospital, a place he has visited weekly since he was three years old. Because of his mitochondrial disease, he fatigues easily, has very little very little motility and experiences seizures. The Hole in the Wall Gang Camp welcomes 1,101 children with serious illnesses from New England, New York and New Jersey to eight incredible sessions every year. Camp is more than a place where children have fun – it is a place where children with serious illnesses learn they can do more than they ever thought they could. 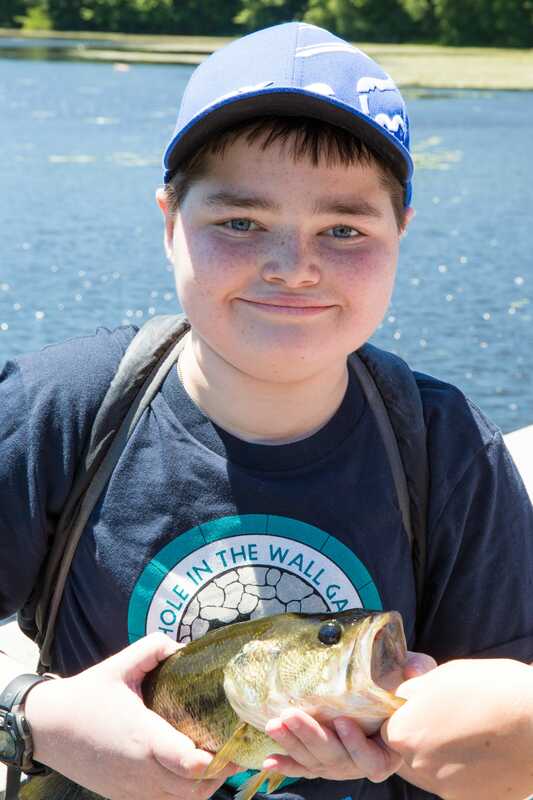 Funds from the Joy in Childhood Foundation help provide transportation, medical care, ’round-the-clock supervision, activities, meals and everything needed to make Camp an incredible experience in the lives of special Campers like Teddy. Teddy’s favorite parts of Camp are archery and woodshop. He likes archery because they set up fun, crazy things to hit like jugs of water or apples. And woodshop is a top pick because the camp counselors help you make whatever idea comes to your head. During Family Weekends in the fall, Teddy enjoys getting his mom, dad and sister to join in the fun – making silk-screen t-shirts, climbing the rock wall and spending three days together in a place where he feels at home.